Azerbaijan, Baku, 14 August / Trend corr. S.Ilhamgizi/ Turkish Prime Minister Recep Tayyip Erdogan will pay a visit to Azerbaijan next week. He made the statement at a joint press conference with Georgian President Mikheil Saakashvili on 14 August. Erdogan visited Moscow today to discuss peace settlement of the ongoing conflict in Georgia. He discussed the issue with Russian President Dmitriy Medvedev and Prime Minister Vladimir Putin. Right away after the meeting Erdogan headed to Tbilisi to discuss the events taking place in Georgia with President Saakashvili. Erdogan said at the press conference that as the Baku-Tbilisi-Ceyhan (BTC) oil pipe and the Baku-Tbilisi-Erzurum (BTE) gas pipe, as well as the Baku-Tbilisi-Kars (BTK) railway, are in the interests of the three countries, they would discuss projects' security issues. "I will visit Azerbaijan to discuss the security issues with Azerbaijani President Ilham Aliyev. 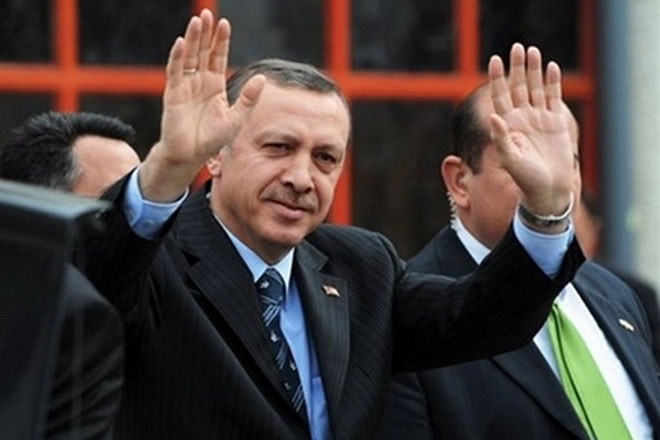 We will discuss the measures necessary to ensure security," Erdogan said. Erdogan said the projects unite the Caucasian nations, stressing that the stability in the region must base not on conflicts, but on mutual interests.